Whenever we watch a live broadcast from a studio such as a quiz or chat show, or live broadcasts of football or a concert, there's a team of people who sit in a darkened gallery behind the scenes, pulling together all of the shots from a multitude of cameras capturing different scenes, working to a plan to create a seamless broadcast for the watching TV audience. 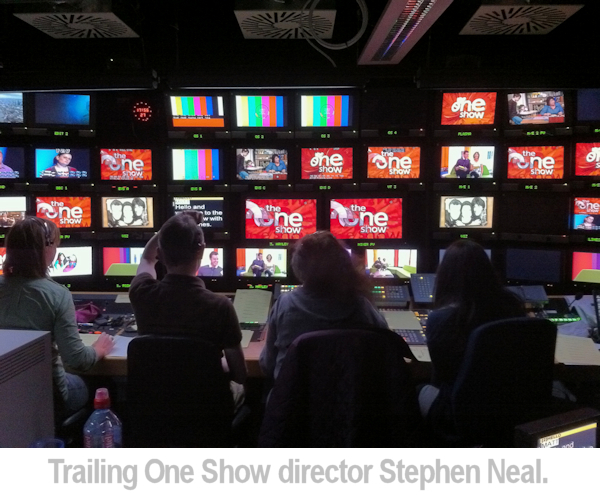 Central to that team is the role of Director and multi-cam and OB Director Stuart Earl gives us an insight in to what the Director does and how he became a Director for high-profile programmes such as This Morning and Match of the Day. Did you have a formal college or university education with the aim of working in TV? No I didn’t. I actually studied graphic design at college and university. I was all set for a career in the design industry, but when I went for a job interview not long after graduating, I had a dramatic change of heart. The guy interviewing me asked if I’d like to see where I would be working if I got the job. He took me in to this large, white-washed minimalist design studio and pointed to a work station in the corner of the room. When thinking about the access my Uni housemate had had on his TV production course, behind the scenes at Manchester airport, filming a pop promo on top of a tower block etc., I just realised I didn’t want to spend the rest of my life facing a white wall. 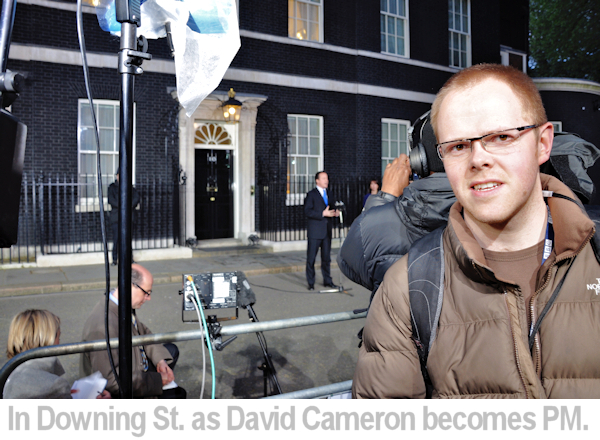 So, on the journey home, I made the decision to ditch design and pursue a career in Television. I certainly don’t view my education as a waste of time. A degree demonstrates you can work to a certain standard and the visual language I developed is put to good use every day in my role as a director. Where did your interest in TV broadcasting come from? I’ve always been interested in TV for as long as I can remember. As a child in the late eighties and early nineties, it was a magical box in the lounge that created excitement, tension and emotion and took you to places you could never ordinarily gain access to. It shaped so much of our family life: Top of the Pops and Tomorrow’s World on a Thursday evening, The A Team, Knight Rider, Gladiators, You Bet and Noel’s House Party, to name but a few, on a Saturday evening. Not only was I watching it, I was recreating it too. My Grandad created a mock You Bet set for me out of plywood, which I decorated with tin foil, kitchen roll and Christmas lights! I built the Coronation Street set out of Lego and smashed a car in to the Duckworth’s, mimicking the storyline of the time pulling on some cotton sandwiched between two bricks to achieve a proper demolition! Television Centre featured so much in my early tv viewing too. From the opening titles of Live and Kicking to the external wide shot during Children in Need. The building became an icon in my mind. I’ll never forget the first time I saw it in the flesh, as I emerged in to the sunlight on the tube at White City. I was already nervous ahead of my job interview with CBBC but seeing the building, a staple in my life for many, many years, just made my heart skip a beat. Can you describe your career progression to the BBC after finishing your education? Having decided to ditch design, I set about breaking in to TV. A family friend had a contact at one of the first channel 6 local TV stations to get on air – Lanarkshire Television (LTV). There was no job on offer, but plenty of opportunities to gain experience by helping out. With nothing more concrete than that, I moved to Glasgow to start my TV adventure. While at Uni I had a part-time job working for the Royal Bank of Scotland. I was able to transfer from Manchester to Glasgow and get a full-time job in one of their branches. I worked Monday to Friday on the counter serving customers and then went to LTV to help out for free on Saturday and Sunday. After a few months of doing this, LTV offered me a full-time paid position in transmission although transmission is probably a grand description! I pressed play on the VT deck with one hand and switched the VT source to line with the other … and that’s how we got on-air. There were lots of timings involved in the job; making sure the channel stuck to the schedule and the flagship “LTV at Six” got on-air at 6pm on the dot. When Granada Television and Boots the Chemist set about launching a new health channel, among the many roles they advertised for, was one for a Production Assistant – a programme’s timing supremo. Capitalising on the timing experience I’d gained at LTV, I applied and got the gig. 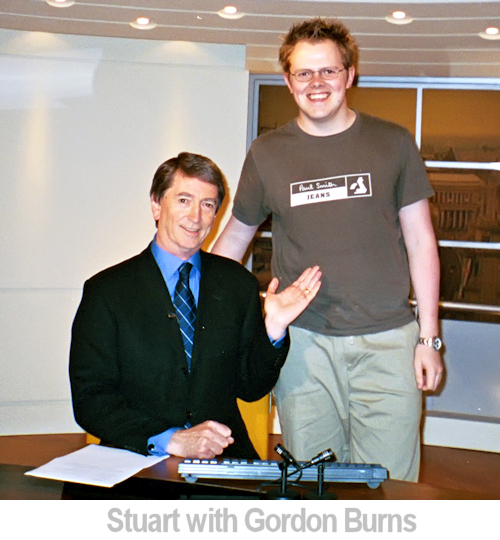 Less than a year after I’d moved to Glasgow, I upped-sticks again and moved to Leeds where the channel was going to be based. They’d taken on staff for all the various positions needed to run a live TV channel, all of us with little, to no experience. Following intensive hands on training (which was amazing), we started piloting the channel’s output. And it was during these early rehearsals I first became aware of the director’s role. Chris Ryder had been tasked to be launch director. He’d directed entertainment juggernauts like “Blind Date” and “Through the Keyhole”, huge shows I’d seen on the telly and here I was watching him craft the channel’s afternoon makeover segment. I loved how he bought together everything at his disposal; lighting, camera shots, music, graphics, movement etc., to create an exciting and engaging bit of telly. And that’s where the seed to become a director was first planted for me. I continued in my role as Production Assistant until the channel came off-air six months later (it hadn’t been able to secure the sponsorship it hoped it would). I stayed with Granada Television working on a range of factual programmes as a Production Co-ordinator for a further six months, before the opportunity to join the BBC in the North West came up. They were looking for a Production Assistant to join their regional news programme North West Tonight hosted by Mr Krypton Factor Gordon Burns. I got the job and that was me finally through the door and working for auntie! How did you land your first Director’s role at CBBC? Entering CBBC as a Production Assistant, I was really on the wrong ‘ladder’. PAs generally progressed in to Production Management, not editorial roles, and so it was an enormous challenge to secure the opportunity to direct. I needed to somehow jump ladders. I was lucky to gain the support of a number of directors in the department, who could see my ambition and passion for the role. They let me trail them doing the job and answered the numerous questions I had. After working on “Story Makers” for Cbeebies and “Newsround”, I was posted to CBBC Presentation the department that does the bits between the programmes. It was the broom cupboard with Phillip Schofield and Andi Peters when I was a kid but now we were in a proper studio with Angellica Bell and Andrew Hayden-Smith hosting. Once a week, we’d record presentation links for CBBC output on one of the BBC’s international channels. We had just one morning in the studio to record content for 5 days. After trailing the director a number of times (often on my days off), they asked if I wanted to do it with them watching over my shoulder? Of course, I jumped at the chance. The following week, I sat in the director’s chair for the first time proper. Oh boy I was nervous… but so excited too. I muddled through, finally doing the job I’d dreamed of doing for years. Of course, convincing my bosses to give me the opportunity to direct full-time was a different challenge. I applied for an Assistant Producer position (that was the grade for directors within Presentation) and got an interview. I think it is fair to say I surprised the panel with my knowledge and passion for the role. I didn’t get the job, but they told me to look out for a trainee Assistant Producer position that would be advertised a few weeks later. I applied for that role and got it. Interestingly, there were two positions on offer, and the other went to a guy from scheduling. We were both living proof you could jump from one ladder to another.
" You need to be able to appreciate what looks good, what doesn’t and have ideas as to how to fix them." What skills do you need to direct? You need a range of skills to be a good director. First and foremost, you have to be visually aware. You need to be able to appreciate what looks good, what doesn’t and have ideas as to how to fix them. About 90% of my job is working with people, whether it’s exec producers, commissioners, presenters, contributors, production team or technical crew so you need to enjoy being around them. And working with so many different individuals, you need to be able to communicate. You need to be able to get across your ideas and vision and then have the tenacity and determination to secure what you want. (You’ll also need tenacity and determination to succeed in the career market too). A good technical understanding of all the different elements that make up television is useful, if only to inform your creative thoughts, but you will work with experts in their field, so you can call on them for assistance. Finally, and of particular relevance to live TV, is having a calm, level-headed approach. When things are kicking-off, everyone will look to you to be a voice of calm and steer the ship in to clearer waters. If you’re flapping, that tension will be projected on to your crew, making mistakes more likely. How do you learn your craft? Securing the trainee Assistant Producer role at CBBC, I was sent on a week-long multi-camera directing course. It provided a great grounding, covering the basics and building up to a half-hour magazine show on the final day. I’ve also learned my craft from trailing lots of different directors and productions. You can’t beat watching a director at work, seeing how they do things and sometimes seeing how not to do them! You can also learn a great deal by watching telly as a viewer. There’s a grammar to what we do and you can instantly tell when something breaks it. But ultimately, nothing beats hands on experience doing the job. What is your role within a broadcast team as a Director? As a director, it is my responsibility to turn a programme in to reality. I work closely with the production team during pre-production to develop ideas and draw up plans for the show, ensuring they’re technically achievable. Once we’re in studio, I lead the technical crew to deliver them. Describe a typical day as a multi-cam Director. In essence, when I’m directing a show, I follow the same formula: planning and preparation, rehearsal and then transmission. That’s been true whether I’m directing “Crimewatch Roadshow”, “Match of the Day” or “John Bishop: In Conversation With”. At “This Morning”, the planning and prep for an episode starts properly for me at 12:45pm the previous day, when the next day’s Producer runs through the items planned for the show. This is the first time the presenters and I will hear in full what’s coming up. Immediately after that, there’s a briefing with the heads of departments (wardrobe, cameras, sound, floor, art, production management etc.) where the producer once again runs through plans. This time we will discuss the items in technical detail; which area of the studio they will be in, do we require any extra kit, e.g. cameras , microphones , lighting, what set dressing will there be etc. Then it’s time to grab some lunch before returning to the production office to start going through the script. Not much is 100% nailed down at this point, as there’s the big 3pm editorial meeting where the team, led by Editor Martin Frizell go through plans again. At this meeting, stories will change, items will get moved about, all in a quest to deliver the best show possible. These changes could have an impact on decisions we made at the earlier heads of departments meeting, so I’ll need to let the team know about them. With things confirmed (for now! ), the day producer and their team can finish building the running order and writing the script. Once it’s in a good shape, I can go through and add my technical instructions. Sometimes I can start this at 5pm, other times 8pm, on the odd occasion as late as 10pm, it really depends. Thank goodness I have the ability to log-in from home! I’ll get up at 5am on show day and have one final look through the running order to check for any last-minute changes before I let the runners know it is good to print. On the train in, I read the brief for each item on the show. The brief tells me what the story is, who we’re interviewing, what interesting things they’ve got to say and what visual imagery we have to float over the discussion. The crew call-time is 7:30am and we start rehearsing from 7:45am, blocking through the show. During this time, I’ll check any unusual camera positions, watch all the available VT material and check graphics etc. If there’s a demo item, we’ll run through it with the guest. Lighting need to check positions and I need to make sure we can get all the necessary close-ups. Similarly, if there’s a cooking item, the chef will run through the make, so the whole team can know we need a close up of the frying pan here and the chopping board there. As we’re going through items, if I or any of the team have an idea as to how something could look better or be improved, this is the time it gets shared. Phillip and Holly or Eammon and Ruth arrive on set just after 10am and we’ll rehearse with them any unusual items. 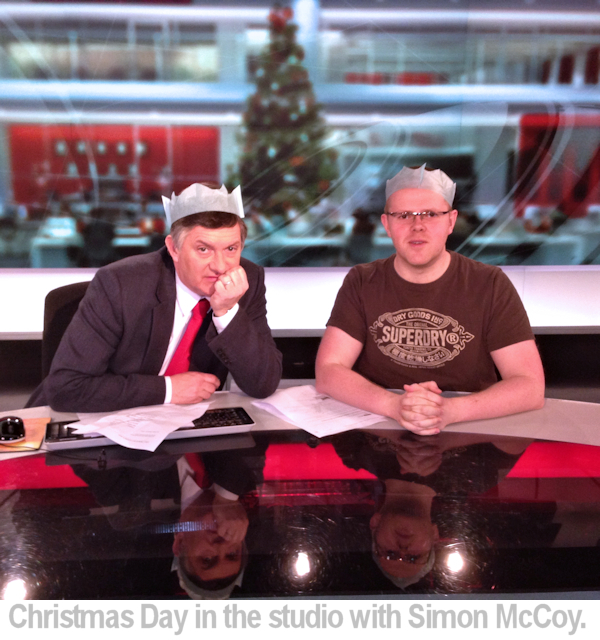 There’s the live promo in the final ad break of Jeremy Kyle and 15 minutes later we’re on-air. “This Morning” is a responsive show so anything could happen that could throw best laid plans out the window. Major breaking news stories, guests running late, technical issues, items that really resonate with the audience so we do more on them; they’ve all happened during my time on the show. Once we come off-air at 12:30pm, there’s a debrief with the team to discuss how the show went, what worked and what, if anything, didn’t. It’s a full on 24 hours for everyone before the process starts all over again with the next day Producer meeting. I have the best job in the world. I often feel very lucky I don’t go to ‘work’, I go to do my ‘hobby’. The highs of the job are far-reaching; from the places you get to go to and people you get to meet to the addictive buzz you get having directed a clean show that went exactly to plan. Maybe because I view it as a ‘hobby’, it’s easier to ignore the significant impact the job has on your personal life. The 24/7 nature of the work. I’m not going to look back on my thirties and wish I’d worked more weekends! The number of weeks away from home. Those ‘frustrations’ are nothing compared to the crushing blows when something goes wrong on your watch. Live TV is unpredictable and despite everyone’s best efforts mistakes sometimes happen. The vast majority won’t be noticed by the audience at all, I’ll just know about them because they weren’t what was planned but the few mistakes that are noticed, there’s no feeling like it. What does your unique vision bring to the Director’s role? I want the programmes I direct to be dynamic, exciting, full of energy and movement. I’m in the business of creating drama and tension and I’ll use everything I can to do it: lighting, music, camera shots, graphics, stage direction, etc. No doubt pulling on my design background, I’m a great believer in the power of brands and so they’re important to my vision too. Brands drive recognition and familiarity and create a sense of belonging. But they require consistency, not only in the creation of a coherent look across a show’s visual elements (set design, lighting, graphics, titles etc.) but also in their daily application and so I am a stickler for attention to detail. Do you enjoy being a freelance Director rather than as an employee? The biggest benefit of going freelance nearly three years ago, is the variety of projects I’ve been able to work on. 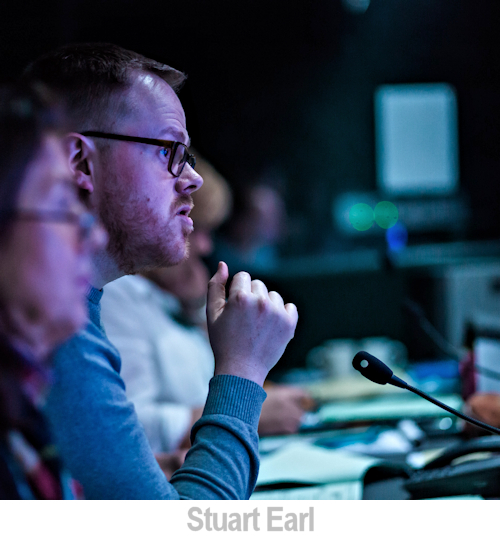 Yes, the security isn’t there, there’s no sick leave, paid holiday or growing pension pot, but I’ve had the chance to work on shows I’d never have had the opportunity to direct beforehand. And I’ve loved it. I had hoped I might have had more control over the days I work as a freelancer but the reality hasn’t worked out like that. If the phone rings and it’s a project you really want to work on then you do it. I’ve had to cancel two holidays over the last 18 months. 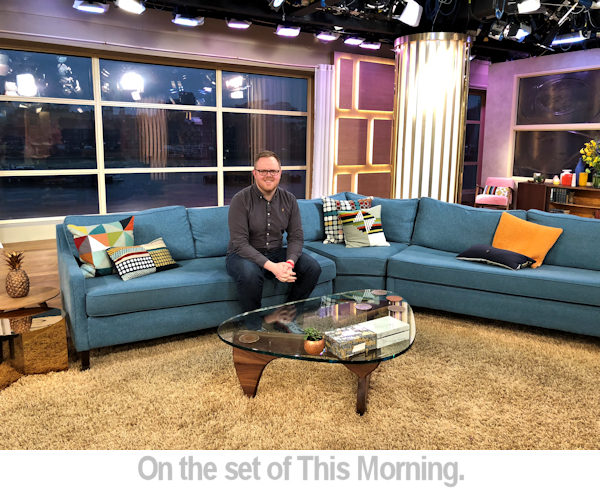 If I hadn’t, I wouldn’t have fulfilled a life-long dream to direct “This Morning” or gained my first primetime credit for ITV with “A&E Live”. You’ve worked on many different genres of TV, from Football, politics, breakfast TV and even crime investigation, how do you switch between the different styles each needs? In essence, I’d suggest there isn’t a big difference in directing style between each genre. As a story teller, I want my audience to be totally engaged in what I do. Whether it’s Andrew Marr grilling the Prime Minister or Gary Lineker and the pundits discussing the day’s matches on “Match of the Day”, I am using everything I have at my disposal to make it as enjoyable a watch as possible. Where a difference in approach does exist is in the type of stories you’re trying to tell. On “Victoria Derbyshire”, we give a platform for people to share their experiences, often of a very personal and tragic nature. A whizz-bang, cut-cut approach wouldn’t be appropriate for these stories, so I’ll adapt my directing style to match the content. Slow. Considered. Reflective. Of course, there is the challenge of remembering the mechanics and format of each show I work on and that can be a tough on the old memory! Especially as everything keeps evolving. Do you have any ambitions to direct films or dramas? No, I don’t. Live TV and multi-camera productions are where my passions truly lie. Interestingly, due to the sheer volume of material they have to produce, soaps like Coronation Street and EastEnders are shot multi-camera. Because of this, I would love to direct one if the opportunity arose but right now, I’m focused on fulfilling other ambitions like directing a game show and the big one; a live, Saturday night entertainment show. What advice would you give to anyone wanting a career in broadcasting? The industry gets tougher to break in to every year. But passion and enthusiasm for TV can open doors. Along with good manners! I always tell students whatever opportunities they’re offered, they must take them. It’s highly unlikely you’ll land a gig with the BBC or ITV at the first stroke, so if a shopping channel or local tv station offers you a job, take it. You can then use that experience to demonstrate your commitment to the industry when you apply for your next role. It’s what I did progressing from Lanarkshire Television to Granada. Also, when getting in touch with industry professionals, make it feel like a personal approach and not a generic carpet-bombing blanket email. Start by saying something about their work, what you liked about it, what you saw that interested you. Then introduce yourself and explain how you’re hoping they might be able to help. Finally, always say thank you. If you meet someone, thank them for their time afterwards; if they reply to your email with advice, drop them a line to thank them. I can’t stress how important that is. People remember. Right at the start of my directing career, one of my CBBC bosses said to me “you’ve got three cameras, use them”. Basically, telling me to make the most of the resources I had available. And it’s something that has stuck with me ever since. I love making the most of what I’ve got. It’s like a challenge, can I make it look like I have 5 cameras instead of just 2? (if it’s relevant to the story of course). This approach has definitely enhanced my work and therefore my career. Note we cannot be held responsible for the content of sites you access from these links.